Markus Muntean and Adi Rosenblum have been an artistic duo since 1992. The protagonists of their paintings are young people whose figures have been repainted from photographic materials from the artists’ archives, magazines and the internet. In Muntean/Rosenblum works, images derived from pop culture are confronted with quotations from renowned literary texts. The juxtaposition of the visual and text layers is not immediately apparent, thus causing the viewers to try and put their own interpretation on the story depicted on the canvas. Performances are an equally important part of the artist’s activity. 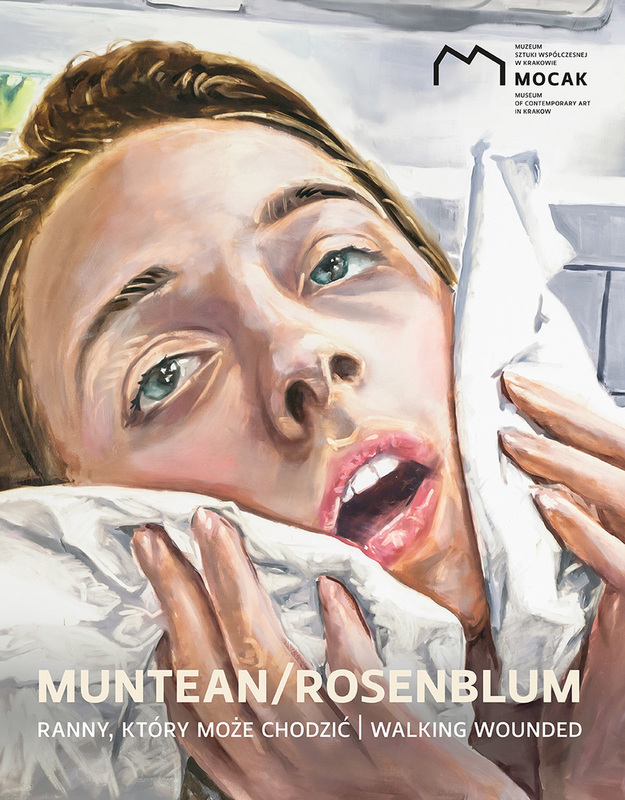 Besides high-quality photographs and reproductions of works, the catalogue included an essay by Maria Anna Potocka on the relationship of the works by Muntean/Rosenblum artistic duo to realism, a text by Axel Stockburger on how art operates in face of the development of neew technologies, and the calendar of the performances by the artists. Available from MOCAK Bookstore and online.